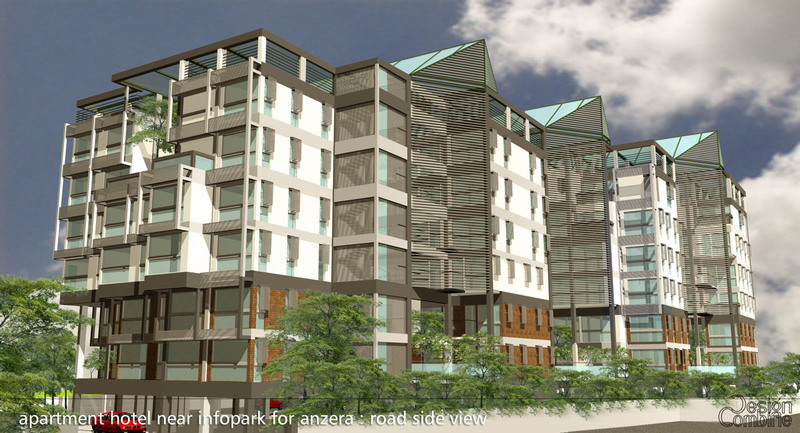 This proposed project, with different sizes of single and double bedroom suites is created to match the growing needs of the Tech world of Kakkanad. 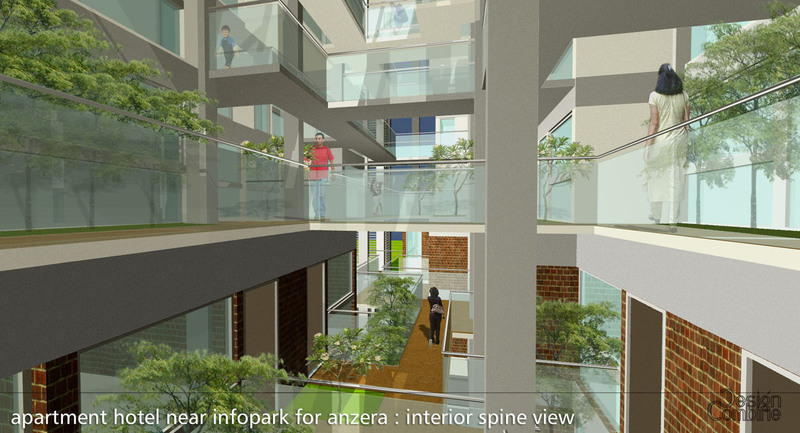 The project reinvented the traditional studio apartment design by creating multi level green break out, community and open spaces as part of the experience of the residential units. 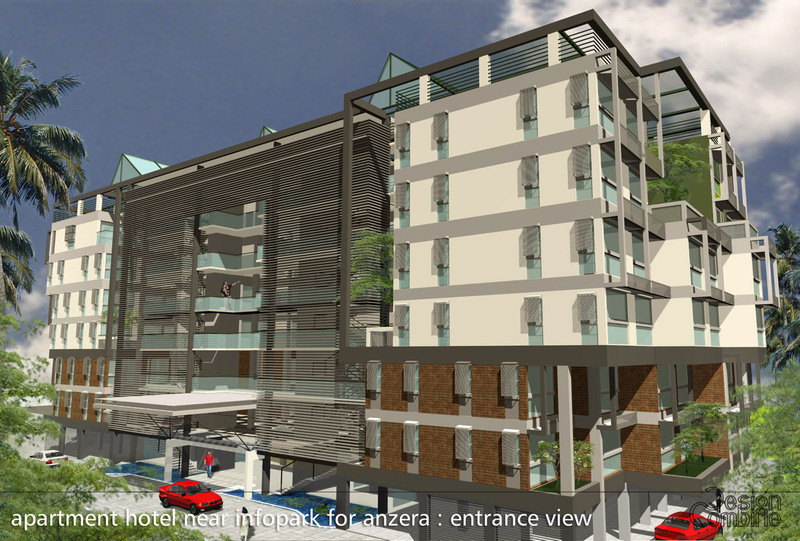 Client :Anzera Properties Pvt Ltd.